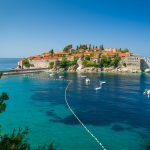 Summer in Spain is always hotter and sunnier and its beaches are one of the most beautiful in whole Europe, so you should know it was hard to narrow the list down to only 6 of them. 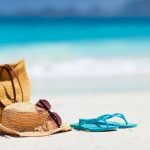 If you happen to visit one of these places in Spain, make sure you check their wonderful beaches as well! 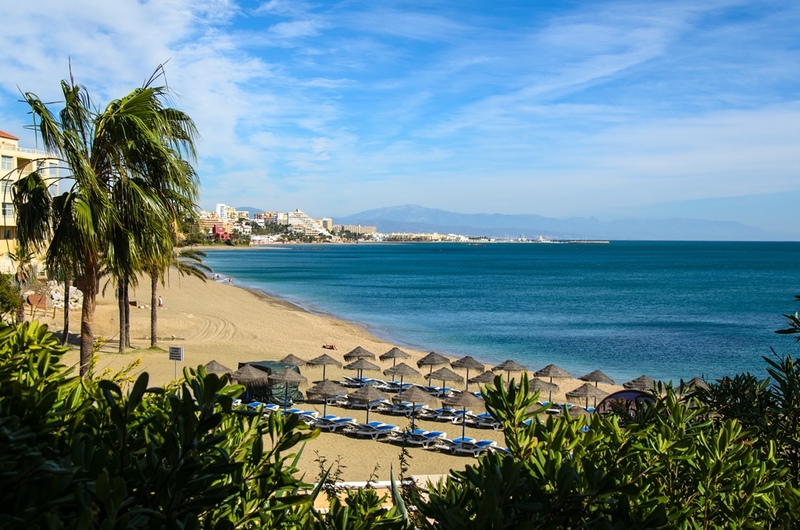 Santa Ana in Benalmadena is number-one beach when it comes to family beaches. It is 500 metre long and 50 metre wide and most importantly, it has shallow waters. There are numerous hotels in the vicinity of the beach so you don’t have to walk too much. In the evening, Santa Ana beach becomes favourite place to take a romantic walk or simply go for a jog. You can rent sunbeds and parasols for only 9€ a day. If you’re up for some water sports, you can rent kayaks, stand-up paddleboards and other sport water equipment. 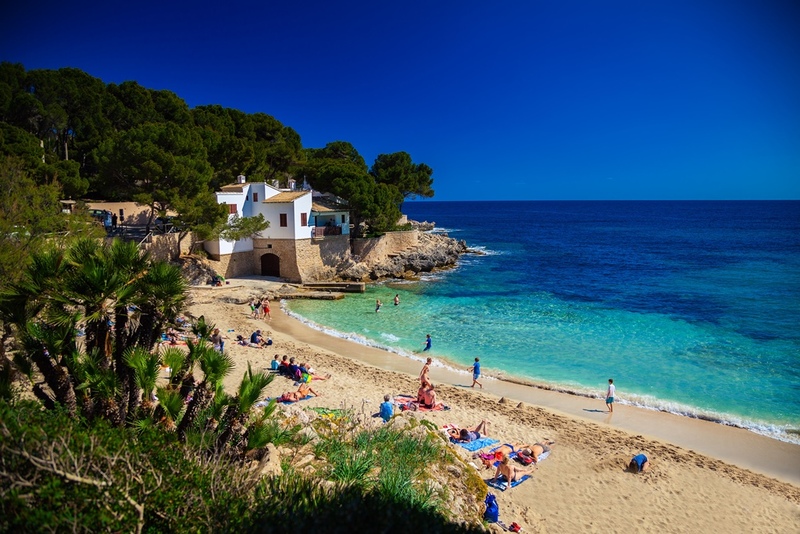 Cala Gat may be a small beach, but its popularity is huge. The beach is part of Cala Ratjada, a beach resort north-east of Mallorca, only half hour of drive from Palma de Mallorca Airport. Cala Gat is surrounded by cliffs and trees on both sides and there is free parking near the beach. The sea water is crystal clear blue and the sand is golden. Those who seek ice-cold beverages can have them at nearby beach bar. The larger beach, Son Moll is a 150 metre-long sand beach and there are several restaurants near the beach. It is easily accessible since the closest bus stop is only 6 minute walk from the beach. 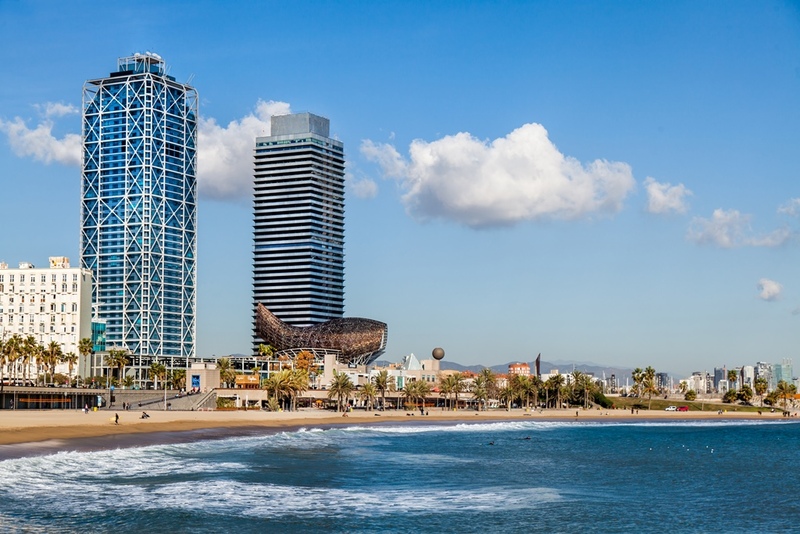 Named after the eponymous city neighbourhood, Barceloneta has been Barcelona’s favourite beach among both locals and tourists. The beach is well equipped with services: showers, toilets, playground for children, sunbeds, changing rooms and many bars and restaurants. One more advantage of this beach is that it is accessible to people with reduced mobility and there is always a volunteer which will help people to enter and leave the sea. Visitors have numerous sport activities on their disposal – gymnastics playground, beach volley, beach tennis and water sports as well. 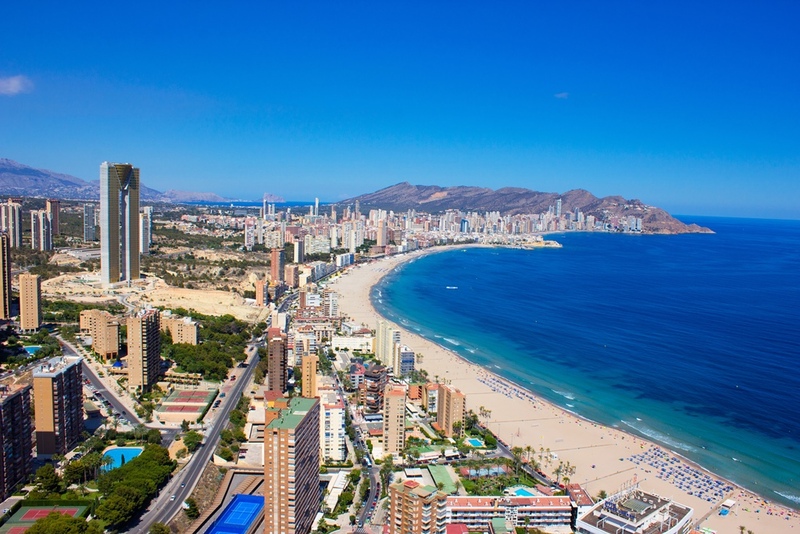 Not very far from Benidorm city centre is located Poniente beach. Although it is normally a busy beach, it is still much quieter and peaceful than the other popular beach in Benidorm called Levante. 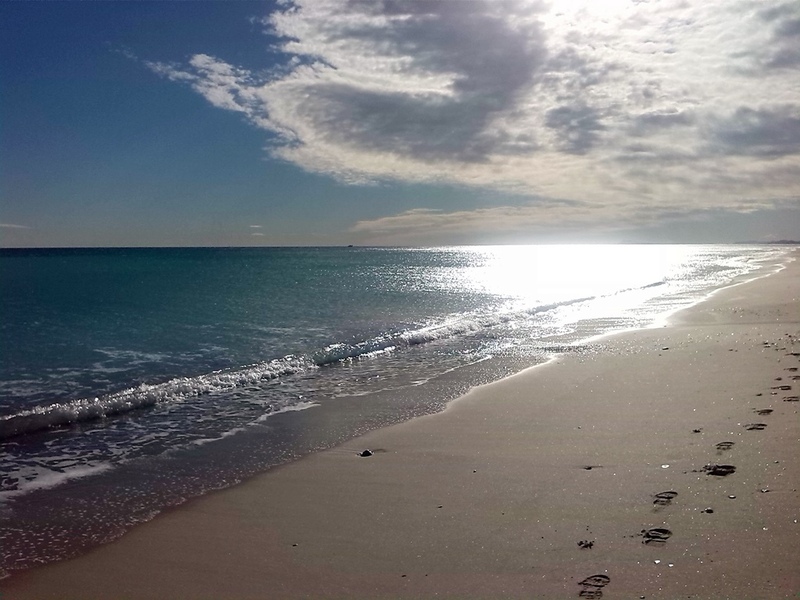 Poniente is a great beach for families because it is spacious and the beach sand is perfectly clean every day. 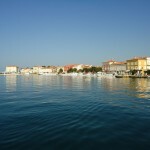 Among the sport activities you can pick are diving, sea kayaking, sailing, wakeboarding and monoskiing. And there are also sports area and kids’ playground – you can’t get bored here not by any chance! By bus: By local Benidorm bus lines 003 and 030. There are three main beaches in Valencia, Las Arenas, Playa de Cabanayal and the main beach, Playa de Malvarossa. Besides regular sunbathing and swimming, Playa de Malvarossa is the favourite gathering place of young people. When locals say ‘I’m going to the beach’ it is usually Malvarossa they’re referring to. During summer, the whole city comes down to Malvarossa for the so-called beach botellons where groups of people get together and pre-drink before going to the clubs. By bus: The beach can be reached by several local bus lines – 1, 2, 19, 20-23, 32. One-way ticket costs 1.50€. La Concha beach is probably the most famous beach in the province of Basque. It is almost 1.5 kilometres long and 40 metres wide so there’s no fear of losing a spot on the beach. Although the beach is located in the very city centre, the water is always clean as well as the beach sand. Unlike Malvarossa, people here usually don’t do parties on La Concha, but they instead visit clubs and bars on the promenade. During summer the city sets up platforms with water slides in the sea but you will have to swim to these platform because they’re set up above several metres of sea depth. By bus: You can reach La Conca by bus lines 5,16,18,25,33 and 40. The price of a single ticket is 1.70€.